"Chosen by Angels to fight the Shadows"
In a futuristic age, there are people who have been granted powers over magic by Angels to fight against demons and the darkness they inhabit. One bustling city in particular has had their technology advanced considerably because of these ‘magical warriors’. Linette and Goose, a pair of orphaned siblings, have been recently chosen to fight against these demons. Along with an optimist with a secret, a dashing con artist, a mystery girl with a grudge, and other exciting characters, they must face a truth that challenges everything they know. 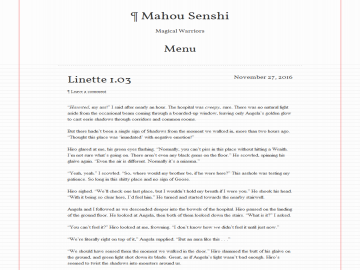 Mahou Senshi has not been reviewed yet. Mahou Senshi has not been recommended yet.